The Corporation of St. George is offering vending opportunities in the Town and are inviting interested persons to send in written submissions. 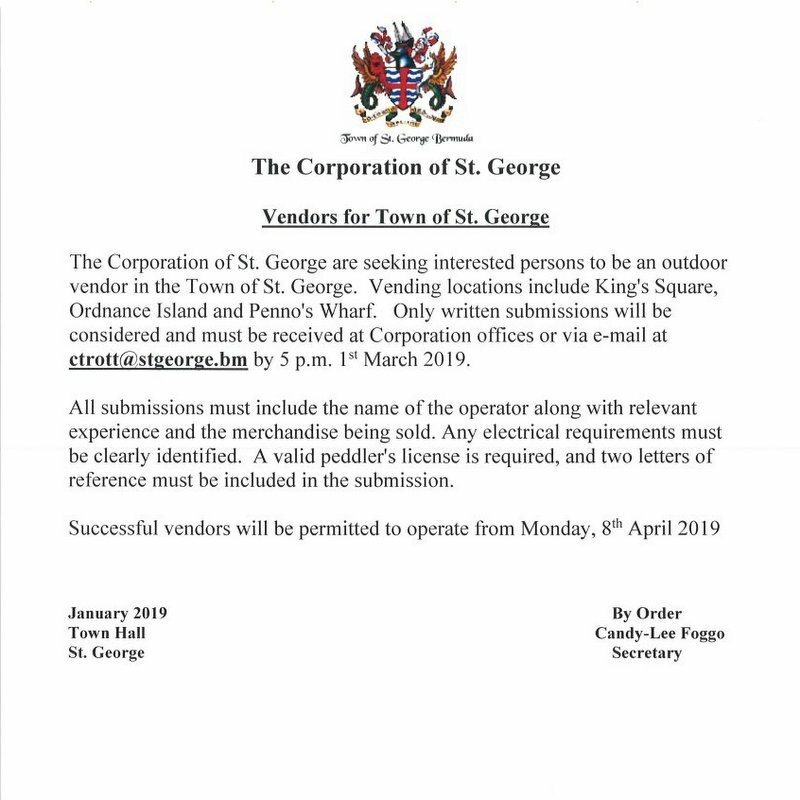 A spokesperson said, “The Corporation of St. George are seeking interested persons to be an outdoor vendor in the Town of St. George. Vending locations include King’s Square, Ordnance Island and Penno’s Wharf. Only written submissions will be considered and must be received at Corporation offices or via e-mail at ctrott@stgeorge.bm by 5 p.m. 1 March 2019. “All submissions must include the name of the operator along with relevant experience and the merchandise being sold. Any electrical requirements must be clearly identified. A valid peddler’s license is required, and two letters of reference must be included in the submission.